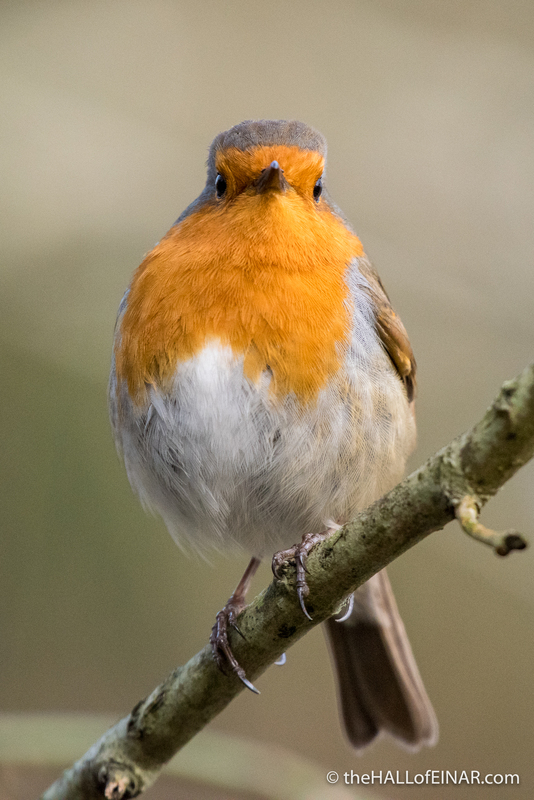 Robins don’t have red breasts; they are orange, surely? Maybe they are called red because it’s alliterative with Robin. Maybe they’re called red because the word orange didn’t enter the English language until the fruit was imported and that was long after the Robin got its name. The colour orange used to be known as yellow-red. Whatever their colour, whatever the origin of their name, they still have very odd-shaped heads if you look carefully. 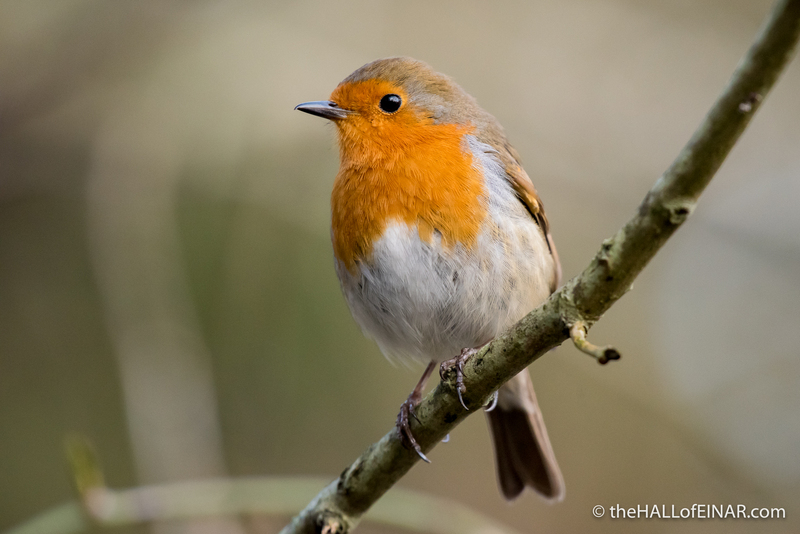 4 Responses to "Robin Orange-Breast"
Their just beautiful in what ever color one sees them. You seem to always capture beauty in all your photos. Yes, they are beautiful. Many thanks Maggie – much appreciated. Yes, they are stunning birds Alison. They really do have incredible poise.